Proper functioning of the internet engineering profession requires certain freedoms and demands certain societal agreements that are needed to bring about collaborative and cumulative environments for development of poly-existentials in general and software and Internet services in particular. 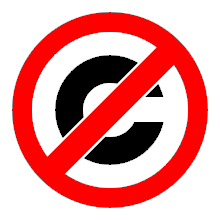 Within the existing corrupt Western legal framework of Copyright and Patents, facilitate development of Free Protocols , Halaal/Libre Software and Halaal/Libre Services . we describe our logic and strategy. Ultimately, we want to arrive at societal policies that are based on the halaal manner-of-existence of software. Top level web page for this project is: http://www.freeprotocols.org/projects/libreServices. Libre Services are free software ideology for Internet services. The concept of Federation of Libre Services is layered above Autonomous Libre Services and focuses on interactions amongst Autonomous Libre Services and faciltation of information aggregation amongst Libre Services. PersoArabic.org focuses on Halaal/Libre ByStar Digital Ecosystem in the context of writing, web publishing, communicating and processing in Persian and in Arabic. Top level web page for this project is: http://www.freeprotocols.org/projects/persoArabic. In 2000, we provided a detailed criticism of a set of specifications called the “Wireless Application Protocol”, or WAP. We warned that WAP is booby-trapped with patents and that WAP is entirely unfit to play the role of a Mobile Messaging industry standard. Top level web page for this project is: http://www.freeprotocols.org/projects/wapTrap. Top level web page for this project is: http://www.freeprotocols.org/projects/libreTexting. Top level web page for this project is: http://www.freeprotocols.org/projects/patentBattles. This project focuses on establishment of the Free Protocols Foundations processses to ensure the development and maintenance of patent-free protocols.